Like nothing you've ever experienced. Imagine yourself, completely weightless, floating like a lily pad on water. As if laying on a cloud, in an almost zero-gravity state, the mind slowly dissolves into relaxation and tranquility. In the world of floating, there is nothing to do but be there, simply breathing and basking in quietude. Our float devices are specially designed to create a near zero-gravity state and limited sensory environment. These two characteristics create a unique experience that allows our body and mind to rest, heal, and grow. Floating has been clinically proven to provide a wide range of health benefits, and relieve many ailments -- especially stress, muscle tension, and pain. One study conducted in 2018 demonstrated floating regularly to be an effective method to relieve anxiety and depression, accompanied by “significant increases in serenity, relaxation, happiness and overall well-being." We have seen people use their float practices to help recover from all sorts of emotional and physical stresses of life, and in some cases, even adopt a float practice as an alternative to pharmaceutical medications for managing pain and anxiety! Whether you are seeking relief, physical recovery, or pure and simple relaxation, a float practice will deliver. It is our mission to provide the Columbia area with a space to experience nothingness. Within this peaceful nothingness, we are able to rest and restore our minds and bodies to a deep state of calm. When you take a moment to remove all distractions in your life, you can expose layers of clarity, tranquility, relaxation, and creativity that you may have never noticed before. Every float can ease you into this place of stillness, which promotes recovery from stress, pain, fatigue, anxiety, and more. We have been deeply touched in our own lives by the many benefits of floating, and we are here to share those same benefits with you! We have two different types of devices, each designed to meet different needs while still providing the same basic float environment. The depth, temperature, and salt content of the water are the same in both types. The differences are in how the lights work, and in the size of the devices. In either case, you are free to leave the lights on for as long or as little as you’d like, although we encourage everyone to turn them off to receive the full restorative effects of floating. The Dream Pod has a futuristic, sleek and womb-like design. Although it is the smaller of the two, it still provides ample space for most people to enjoy their float. The LED light built into the device is controlled by an air-pressurized button on the interior wall of the Pod. The Pro Float Cabins are our larger flotation devices, tall enough to stand up inside and long enough for even the tallest people to stretch out comfortably. While the Dream Pods can feel almost womb-like inside, floating in a Cabin often feels more like floating through outer space. The light offered in the Cabin is a glowing, waterproof orb that floats alongside you in the device. Don't shave 8 hours before (salt can sting open cuts). Nothing to bring but an open mind. 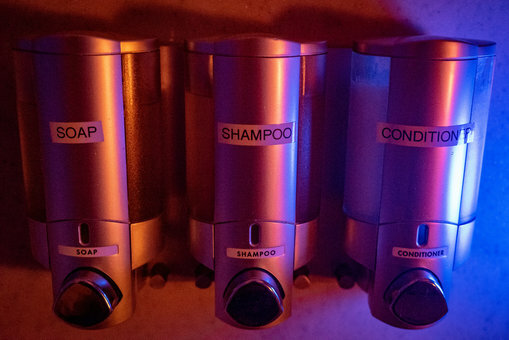 Everything you need is provided (towel, ear plugs, shampoo, conditioner, and q-tips). As little caffeine as possible before. Light meal an hour before your float (suggested, but not necessary). Arrive about 10 minutes before your float to get checked in and acquainted with the space. You can enjoy some tea or water while you chat with a team member about the floating process. 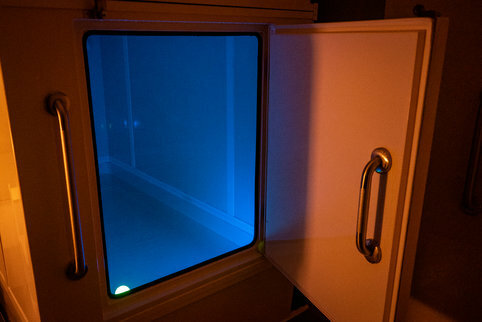 When your float room is ready you will be taken back and will learn about what to do before and after your float. After the float is over feel free to hang out, read, chat, sip tea, and bask in your post-float glow. Stay as long or as little as you like after your float is over. 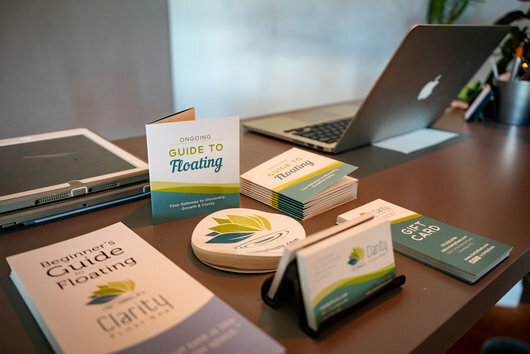 We started this business because we have a passion and drive to bring the benefits of floating to the city of Columbia, a place that we love and call home. 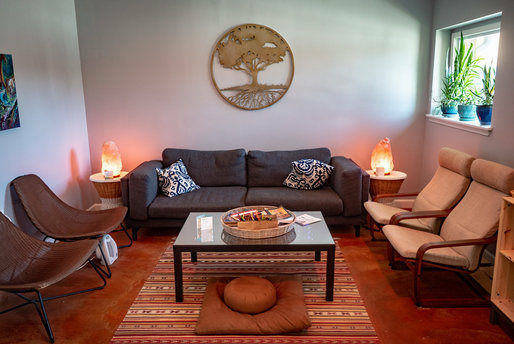 Clarity Float Spa is not just a place to float, but a community where you can feel at home even when you're not floating. Connor found out about floating back in 2012 when he was in Kansas visiting his cousin. He was immediately intrigued and booked a float at the Spa at Briarcliff. The next year when he was on vacation in Chicago he booked two more floats. After his 3rd experience he realized this was definitely something he wanted to make a part of his life. He had this idea of starting a float center when he was at Mizzou finishing his IT degree. Around this time Connor was going through a transition in his life, moving away from ways to escape and instead towards ways to accept life as it is. Over the next few years he found peace in meditation and attended multiple 10 day silent meditation retreats. On these retreats he started picturing what it would be like to own his own float device. This further encouraged him to follow his passion of starting a float center. After he graduated from Mizzou he started working at Veterans United as a web developer and bought a Zen Float Tent for at home floating. He started looking for spaces to open a float center here in Columbia and came across Noah who was using the same realtor. Realizing they shared similar values and ideas about what a float center should be, they decided that opening a float center together would be the most sensible/logical thing to do. Always aspiring to get the most out of life, Noah found floating to be the perfect tool for sensory reset and introspection. With constant sensory overload in our everyday lives from phones, computers, TV, etc., being able to jump into a float device and truly rest your mind and body was very enticing to him. After Noah’s first float, he was hooked! Pondering the installation of a personal device in his home, Noah decided to look into bringing his passion for floating to central Missouri by opening his very own float center. A few months later he was on a plane flying out to Portland to go through a three day apprenticeship program with one of the most successful float shops in the country. Absorbing an immense amount of knowledge over those three glorious days in Portland, Noah began implementing his dream when he met Connor. Since then, they have eagerly been setting plans in motion to open the doors to what they believe to be the ideal shop for the floating experience. 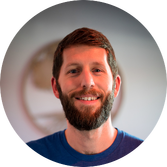 After living in Columbia for most of his life and getting so much out of the great experiences this community has to offer, Noah is thrilled to bring his passion for floating to the Columbia area to share with as many people as possible. 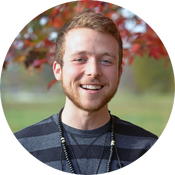 In 2015 Thomas' meditation practice brought him to BREATHE, a Mindfulness-based student organization on MU's campus. It was there that he met Connor, who first introduced him to the practice of floating. He was intrigued, gladly accepted an offer to try floating in Connor's in-home float tent, and was soon touched by the peaceful simplicity of floating. Floating has since allowed Thomas to introspect, reflect, and find insight in an entirely new way along his path of growth and awakening. It has become an essential tool to his stress reduction and health maintenance, allowing him to take much-needed breaks from the doings of the external world and instead tend to the Being of his internal world. Floating has allowed him to see exactly where he’s at in life, and be okay with wherever that is. Thomas is a local, born and raised in Columbia. A former mindfulness educator on behalf of BREATHE and MU's Health & Wellness Center, contemplative practice remains integral to his self-care routine. 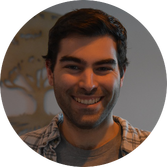 Outside of Clarity, his hobbies include reading, drumming, cooking, and inspiring positive change. A lifelong drummer, he moves through life with rhythm and presence, with an oft renewed intention to make the most of his precious time here. 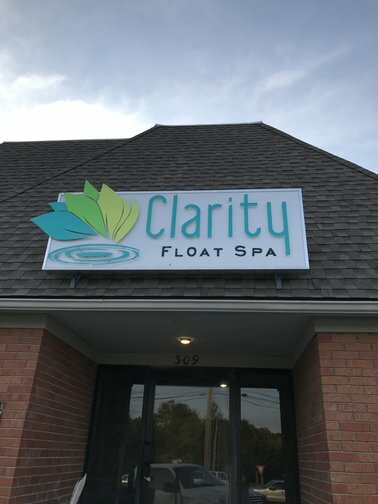 Thomas feels both honored and privileged to call Clarity Float Spa his home away from home, and is dedicated to spreading the many benefits of floating throughout the local community. Meditation and yoga have been essential parts to Jillian's wellness routine for the past few years, and while floating is a newer practice for her, it is now essential as well. She began her float practice in June 2016 when she met Connor's roommate and had the opportunity to float in their in-home float tent numerous times. From then on she became hooked. 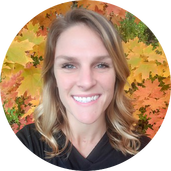 Jillian is passionate about holistic health through the integration of mindfulness practices, body movement, diet, and medicinal herbs. Wanting to get off of pharmaceuticals for her Attention-Deficit Disorder, she developed a yoga/meditation practice and changed her diet, which allowed her to quit her medication three years ago. Floating has been the cherry on top--not only helping with mindfulness and concentration but also easing her anxiety and bodily tension (thanks to the high concentration of magnesium). 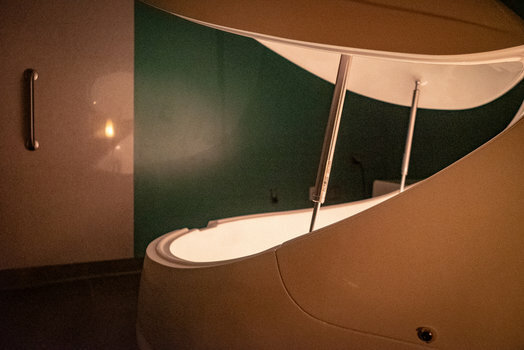 Jillian cherishes her time in the float device, where she can be with herself without distraction, developing a deeper sense of compassion and self-awareness, and a more authentic relationship with herself and the world around her. When Jillian is not floating she is often found hiking with her beloved dogs, cooking delicious nourishing meals, or reading about herbs, mindfulness, and societal issues. Christa is a yoga instructor in Columbia, MO who joined the team after noticing a positive change in her everyday life from establishing a float practice routine at Clarity. Floating facilitates deepening her meditation practice which quickly became a tool she felt passionate about sharing with those in her life. It is the insight that flows from the body to the mind effortlessly during her sessions that she feels is a necessary aspect of the healing process she enjoys helping members of her community experience for themselves. She is a holistic wellness advocate who makes a hobby out of finding natural remedies for catalyzing living an optimal life. 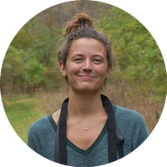 Christa grew up in the suburbs of Chicago and moved to Columbia to study Psychology and Biology at the University of Missouri where she graduated in 2014. Upon graduation, she traveled the world in pursuit of becoming a yoga instructor where she trained and eventually taught with teachers in Thailand, Canada, and various locations in the states for consecutive years. 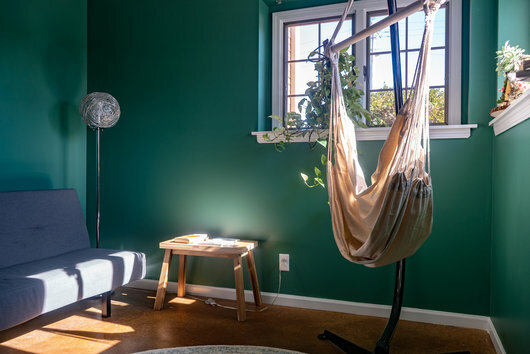 A practicer and believer of holistic health, Christa uses floating as a way of settling the monkey mind and connecting back to purpose while allowing space for self discovery, continual personal growth, and intuitive understanding of the inner workings of self and the world around us. Outside of Clarity you can usually find Christa teaching or practicing all types of yoga, hiking or walking her dog, biking, or living her life to the fullest. Jenny has been a licensed massage therapist since 2005, when she graduated from the New Mexico School of Natural Therapeutics in Albuquerque, NM. She has worked in a variety of contexts--in spas, physical therapy clinics, and athletic settings, with college and professional athletes, including the Mizzou Women's Soccer Team. 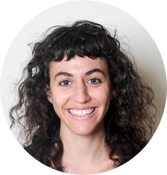 As a healing artist with a background in dance, athletics, physical theater, and yoga, her life study centers around connection to and through the body, the ways we move, and how we feel while we’re moving. Blending myofascial, sports massage, and trigger point techniques with Swedish massage and polarity therapy, she brings a connected flow approach to therapeutic deep tissue massage. Additional floats (just for you) are only $39. Shared floats and gift cards are $49. Floats don't expire with an active membership. Preferred pricing: 10% off retail, massage and any deal or special. Free gift card for a friend after every 10th visit. Like, share, retweet, follow us! © Clarity Float Spa All rights reserved.